Coconut oil is a miracle and most talked about product. It is a chemical free natural superfood that helps you to lose weight and live longer. Many of you already know that it is good for our health. That's why it is used in the food items from the ancient time. But, some of you are less aware of its beauty benefits. Don't you? Coconut oil can be used as a face mask. It helps to remove acne scars, suntan and pigmentation. Coconut oil has antimicrobial properties that treat the pimples and also protect the skin from harmful bacterias. You just need a half teaspoon of coconut oil to rejuvenate your skin. Apply this oil on your face and massage for only five minutes. Keep it on your face for more 5 minutes. Clean your face with a cotton ball or cotton pad and then follow with a gentle face wash. This face mask saves your time as well as money and gives you a spotless and radiant skin. Use this recipe once a week to get good results. Coconut oil is a miracle for chapped lips. If you are suffering from chapped and dried lips then don't worry. You only have to do one thing and that is- go to your kitchen, take a little amount of coconut oil and apply it on your dried lips. Coconut oil gives the moisture to the lips and helps to keep it hydrated. Except for coconut oil, You also have to avoid licking your lips and try to drink lots of water during the whole day. It does not matter how often you apply coconut oil on your lips but if you don't drink enough water, your chapped lips are going to coming back again and again. You don't need to spend money on buying chemical-based scrub from the market if you have coconut oil at your home. Yes, you read it right... Coconut oil can also be used as a body scrub. You will need only two ingredients, one is coconut oil and other is brown sugar. If you don't have brown sugar then use coffee. Take equal amount of both the ingredients and massage your skin with this mixture. Make sure that you keep the 1:1 ratio of these ingredients i.e. "1 tablespoon of coconut oil and 1 tablespoon of brown sugar." This will remove dirt, dead skin cells from your body and give it moisturizer. Apply a thin layer of coconut oil before shaving your legs and say goodbye to the rough after shaving effect. Coconut oil gives moisture to your legs and leaves them as smooth as baby skin. You can also use a mixture of coconut oil and shea butter for the same purpose. This mixture as a base gives a clean shave that leaves the legs smooth. Scoop a small amount of coconut oil out of the jar, rub it between your fingers until it becomes liquid. Apply this on all over your face including eye area. Massage the oil in a circular motion to remove that makeup from the face. After a few seconds, you will feel makeup come off right away. Use a cotton pad to remove extra oil from the face. Wash your face with warm water. Coconut oil not only removes makeup but at the same time gives you a moisturized and smooth skin. Coconut oil helps you to get rid of ugly dark circles. Apply a small amount of coconut oil on your eye area. If the coconut oil is in dry form then melt it by rubbing between the fingers. Massage the under eye area with this oil for 2 minutes, clean extra oil with a cotton ball. Don't wash your eyes after completing this process. Make sure that you don't put extra pressure on under eye skin during massage. To avoid the pressure, use your ring finger to massage your eye area. This process not only removes the dark circles but also cures the fine lines and eye bags. 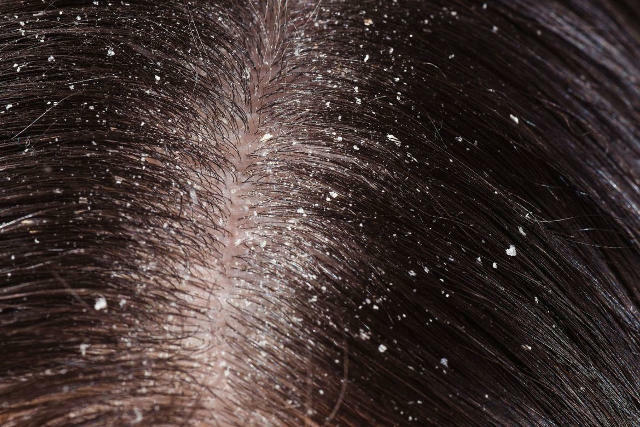 Thanks to fatty acids and protein found in coconut oil which stimulate the hair growth and give longer lashes. All you need to make eyelash growth serum is coconut oil and vitamin E capsule. Take one vitamin E capsule and extract liquid from it. Now mix this liquid into 2 tablespoons of coconut oil. That's it, Your eyelash growth serum is ready. Apply this serum to the lash line every night with the help of Q-tip and dab away any excess oil with cotton. Make sure, you clean your lashes before applying the serum. Fatty acids contained in coconut oil makes it the best moisturizer for the body. It absorbs quickly and does not give a greasy feeling. Coconut oil has antifungal and antibacterial properties that protect your skin from the skin infection. There you have it...coconut oil and skin care. Have you used any of these before? Let me know in the comment section. Also, if you like this post then give it a thumbs up. Whenever I run out of my cream I use coconut oil to supplement for my eczema and I think it works even better lol. I havent thought about using it in my hair but it makes sense to lock in the moisture! I always hear how great coconut oil is. I haven't tried it yet. I really should since it's so beneficial. I keep a jar of coconut oil in my bathroom, but never think to use it. Thank you for all of these suggestions - I will definitely keep them in mind. Wow! I feel like I need to print this out and post it in my bathroom! I love all of these natural tips! This is such great info thank you for compiling this list. Coconut oil is everything!!! Thank you for compiling this list. Coconut oil is everything!! These are some great ideas to use coconut oil. It is also great to add moisture to hair. I use it all the time at home. Love these uses for coconut oil. I need to try it in my hair. I had no idea that you could use it for a DIY eyelash solution. I've dropped 100+ bucks on serums before. I'll be trying this for sure! I have heard so many good things about coconut oil and the benefits for the skin! I really need to try it out! Yaasss!! Coconut is not only good to eat, but perfect for our skin care routine. The best part is that it smells sooo good!! I use it on my hair and as a lip balm. Perfect for having smooth lips during winter. I just tried it as lip balm-- THANK YOU! Nothing helps my lips but coconut oil did! I have used coconut oil on my skin before and its amazing! Love the smell also. I am a little obsessed with coconut oil. I even put it on my dogs paws in the winter! 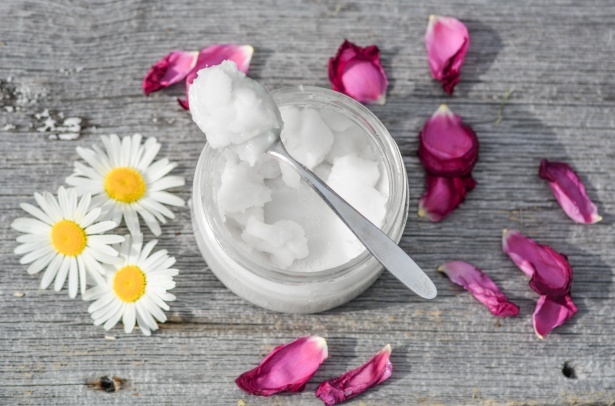 Though it was an informative post, however coconut oil may be linked to some potential benefits for skin, including reducing inflammation, keeping skin moisturized and helping heal wounds. The medium-chain fatty acids found in coconut oil also possess antimicrobial properties that can help treat acne and protect the skin from harmful bacteria. Thank you for this! nothing would help my dry lips, and now cocounut oil saved me!! There are strong argument on eating coconut oil. But I do agree with you that coconut oil is very good for skin .Thank you for your info. Great information! Coconut does a lot of wondrous things to the body. We use it to keep our hair black and shiny. We use coconut oil regularly in our cooking. I also use it to remove makeup at the end of the day. Honestly coconut oil has so many great and health benefits, not just for skin but cooking with also. I am obsessed with coconut oil for beauty purposes. I love using it as a hair mask as well. I'll vouch for coconut oil as a lip balm! I've used it and loved how moisturizing it is and also that it did away with my dry lips. Coconut oil is literally a miracle product! I did know about most of these uses, but never thought about using as a shaving cream. Thanks! Coconut oil is so versatile and has been used in our homes for ages. Coconut oil is one of the best natural based item to use. And also more affordable. Thanks for the awesome guide. That is helpful for all and their anythings mentioned which carries many informative things. I love to use coconut oil to moistize the skin. But now I found other ways to use it! I love coconut oil as body lotion or anything really. I always travel with a bit of it. Just have to be careful it doesn't get on your clothes! Im obsessed with coconut oil. So many uses! Coconut oil has so many great uses! It is like a magic cream for so many things. I always have some handy! I didn't you can use coconut oil on pretty much everything. Thank you for sharing this information. Once I started using coconut oil, it replaced almost every beauty product I used. Thank you for sharing your tips. I always buy myself organic products, I think they're the best for the skin. I am one big coconut milk/oil fan! Whatever coconut product there is that is offered in the beauty market, I go dig in! Awesome uses for coconut oil! I will have to start using it too, it seems it's very useful.